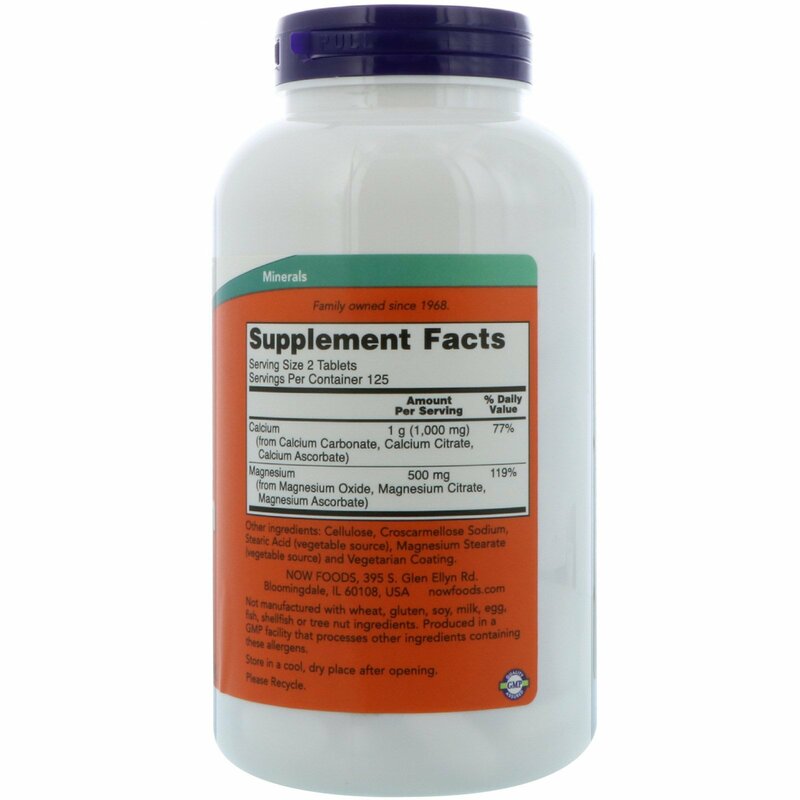 NOW Calcium & Magnesium combines two essential minerals that work together to maintain several critical physiological processes. 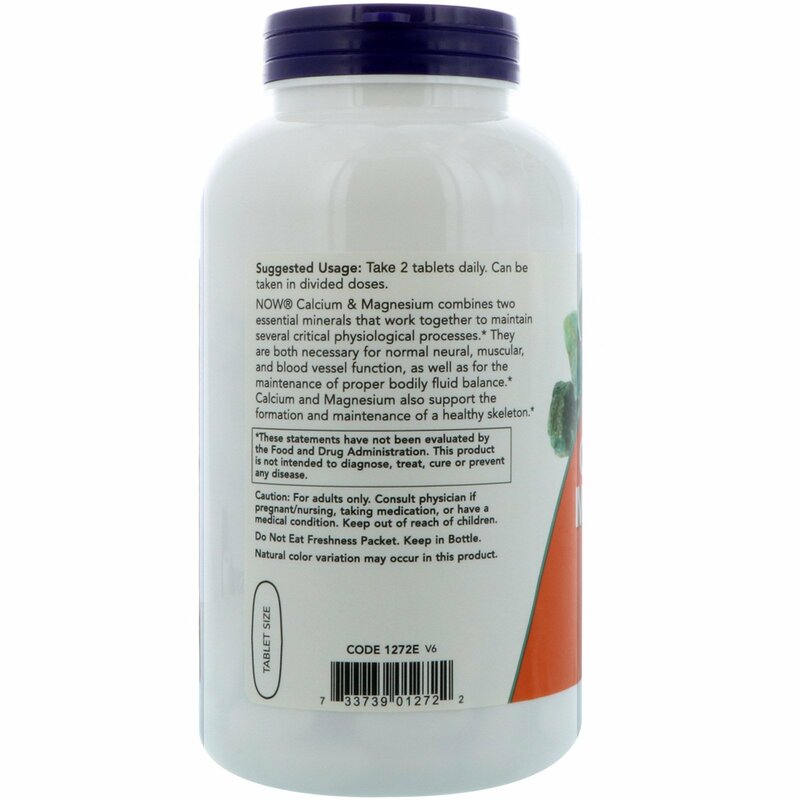 They are both necessary for normal neural, muscular, and blood vessel function, as well as for the maintenance of proper bodily fluid balance. 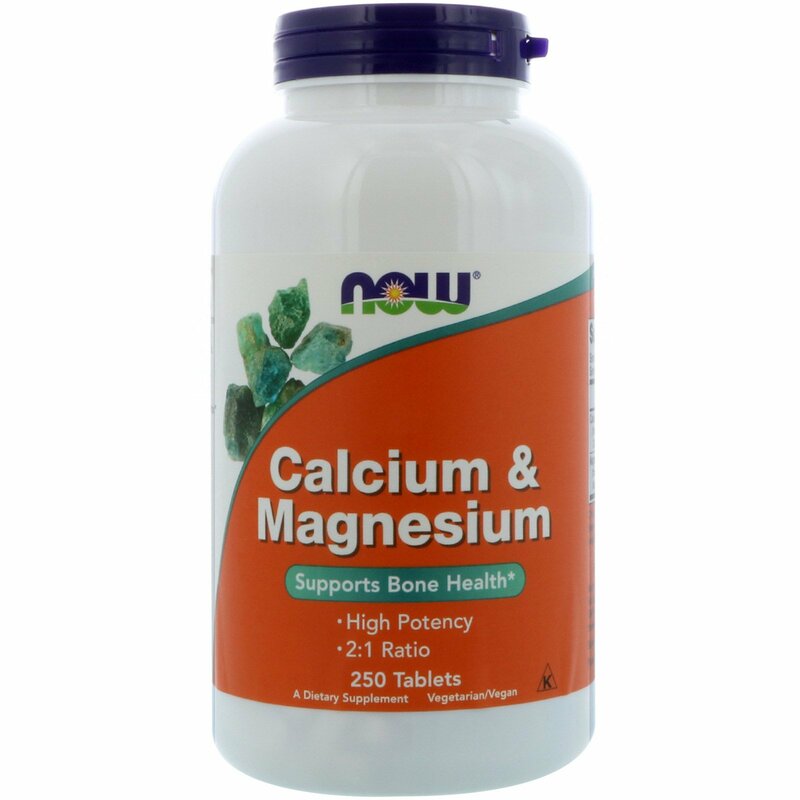 Calcium and Magnesium also support the formation and maintenance of a healthy skeleton.